E.L.F Blush and Bronzing Cream in St. Lucia | Vanity and Everything in Between. E.L.F. has a new product worth raving for! Well, this product is not that new anymore since I've had this since June. I'm not sure when it was released in the states but I'm pretty sure they've had this for a while, too. I had a hard time looking for this product as it was sold out everywhere! I was in luck because I was able to buy the last stock at Watson's in SM Megamall. What convinced me to buy this product is the bronzing cream. 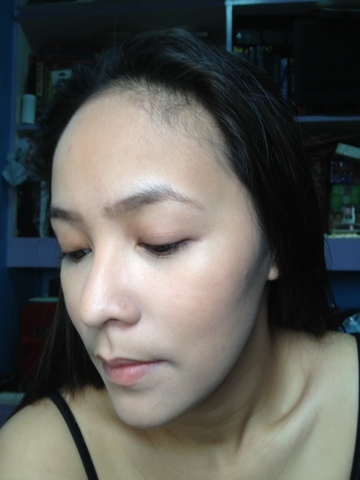 I've only learned to love the art of contouring last year (believe it or not) and I've always used bronzing powders. The only bronzing cream that I know is the Chanel one which is really expensive! So, when I saw this E.L.F., I knew I just had to try the bronzing cream! 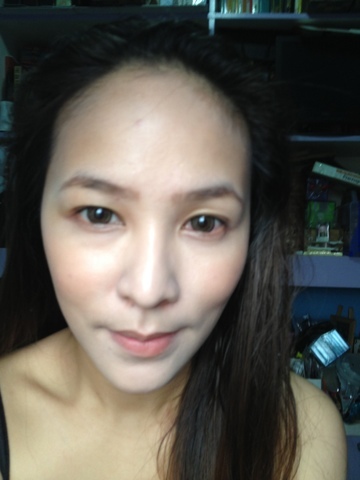 I apply the blush and bronzer right after applying my liquid foundation. Since this is cream, it will be difficult if I apply it after I set my foundation. I usually set the cream blush with a powder blush. 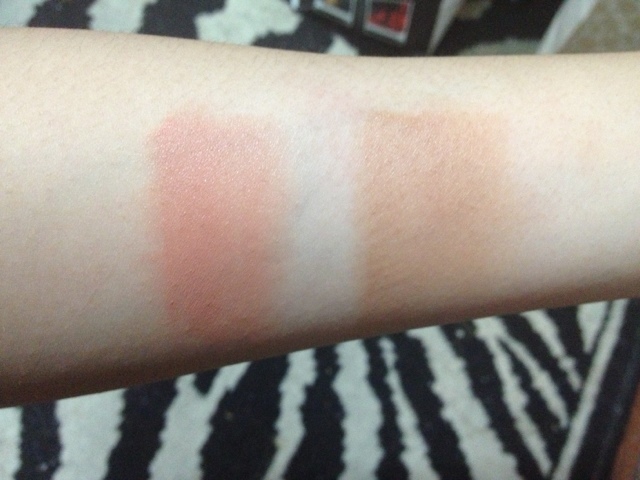 But for blogging purposes, I didn't set it with a powder blush so you could see the actual color. 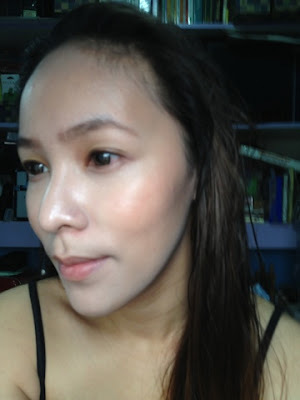 The last two photos are the ones after I have set the foundation and blush with a setting powder. It toned down the blush a bit if you can see. - it's only USD3.00 in the U.S.A. 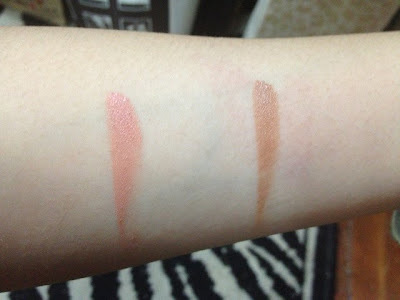 I love cream blushes because they stay longer on my skin than a powder blush does. 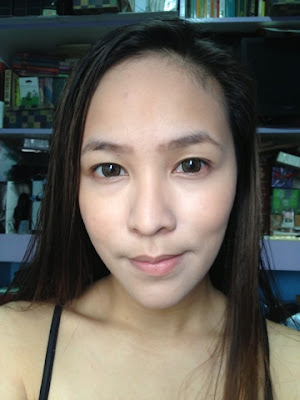 I usually wear cream blushes during the rainy months (June to September in Manila) so that I don't have to worry about it melting on my face. If you want to use it during summer, just set it with a powder blush or a translucent loose powder. I usually set the ELF cream blush with my ELF powder blush in St. Lucia as well. 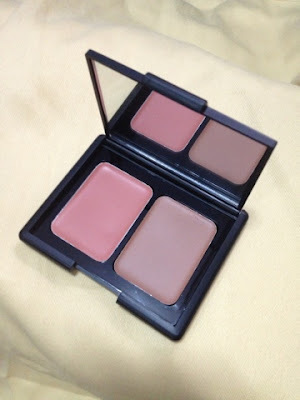 When I feel adventurous, I set it with a bright pink powder blush to get a different shade! As for the contour cream, I use my index finder when applying it on my cheek. I make sure to apply alcohol on my finger first because swiping it on the cream for hygienics purposes. I also use both of my index fingers (one for my left cheek and the other for the right cheek) so that I don't have to double dip. You see, cream products are the ones that need extra care to avoid bacteria from settling. I also spray So Clean on it every now and then. Have you tried this product? If so, how do you like it so far?